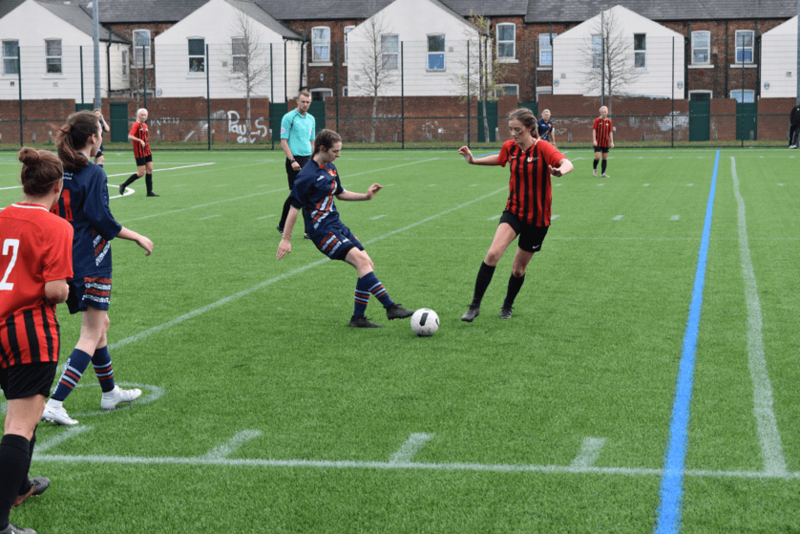 Team Sunderland suffered a heavy defeat away from home against a strong Teesside outfit in the annual TeesWear Varsity event. Teesside started off the stronger team, finding themselves leading after just seven minutes before doubling their lead four minutes later. Sunderland responded to halve the deficit, but Teesside were too strong for Sunderland, who found themselves 5-1 down at the break. The second half didn’t get much better for Sunderland, as Teesside pushed forward and reaped the rewards as they ran out 11-2 winners. Teesside took the lead when a pass down the left found the striker running through on goal, before turning inside and finishing into the bottom corner. Teesside doubled their tally four minutes later as the striker found the bottom corner after turning inside, before Sunderland pulled one back after putting the rebound from a Sunderland effort in the 16th minute. Teesside scored their third in the 28th minute when the ball was picked up on the edge of the box and curled brilliantly into the top corner. Three minutes later Teesside scored their fourth after a strike 20 yards out found the bottom corner, before a scramble in the Sunderland box resulted in a Teesside goal just before half time. A minute into the second half Teesside added their sixth, as the ball looped over the Sunderland keeper before Sunderland scored a minute later after a mistake from the Teesside keeper. In the 54th minute Teesside scored another, as a low cross was tapped home before they added their eighth three minutes later when the striker was sent through on goal before slotting past the keeper. Things got worse for Sunderland as Teesside scored again when the Teesside striker lofted the Sunderland keeper after a long ball over the top. Teesside hit double figures in the 72nd minute when a low shot found the bottom corner, before they scored their 11th six minutes from time. A game to forget for Team Sunderland as they simply couldn’t deal with Teesside’s quality in the final third.